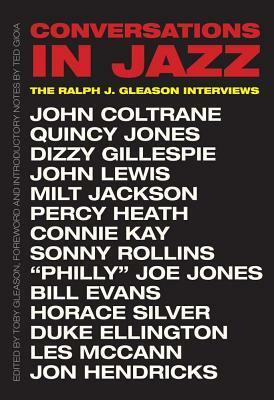 During his nearly forty years as a music journalist, Ralph J. Gleason recorded many in-depth interviews with some of the greatest jazz musicians of all time. These informal sessions, conducted mostly in Gleason’s Berkeley, California, home, have never been transcribed and published in full until now. This remarkable volume, a must-read for any jazz fan, serious musician, or musicologist, reveals fascinating, little-known details about these gifted artists, their lives, their personas, and, of course, their music. Bill Evans discusses his battle with severe depression, while John Coltrane talks about McCoy Tyner's integral role in shaping the sound of the Coltrane quartet, praising the pianist enthusiastically. Included also are interviews with Dizzy Gillespie, Sonny Rollins, Quincy Jones, Jon Hendricks, and the immortal Duke Ellington, plus seven more of the most notable names in twentieth-century jazz.